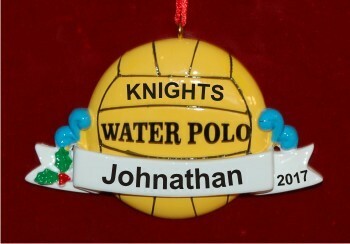 A festive sprig of holly turns this personalized water polo ornament into a great gift for the holidays! The water polo champ personalized sports ornament from Russell Rhodes features a realistic water polo ball splashing into the water, making waves, with Water Polo permanently painted on it. 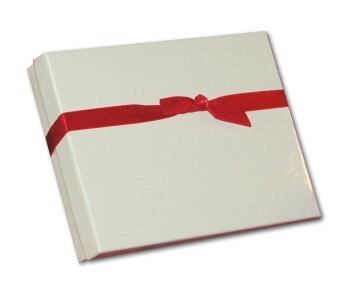 The holly-adorned banner and the ball can be personalized with the details you provide. All lettering is hand-painted in a font more stylish than shown to create a personalized water polo ornament that’s one of a kind. Like many of our personalized sports ornaments, the water polo ball Christmas ornament includes a display cord and our classic velvet pouch.